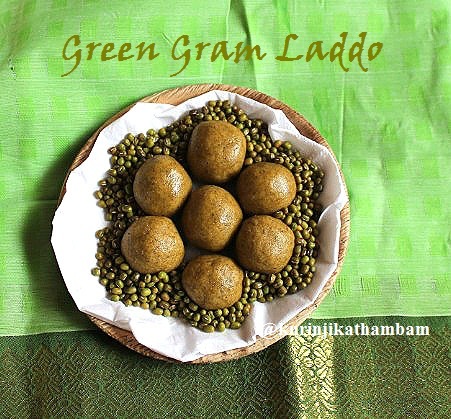 Generally people prepare moong dal / Yellow grm laddos, But in our native village ladoos are prepare with whole green gram instead of moong dal. This ladoo is very healthy for kinds because the skin is also used. 1. Dry roast the green gram in a heavy bottom pan at low flame. Fry them till the green gram becomes golden color and a nice aroma also comes out. 3. Sieve the powder with fine siever. Keep it aside. 4. Powder the sugar with cardamom pods using the same mixie jar. 5. In a wide bowl, add the green gram powder ( from step 3) and powdered sugar ( from step 4). Mix them well with spoon. 6. Now heat the ghee in a small pan till the ghee melts completely and becomes very hot. 7. 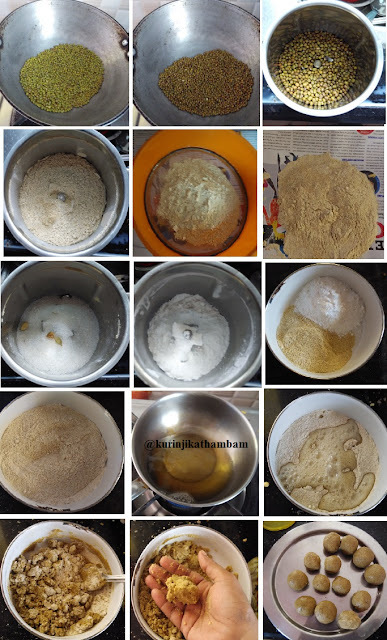 Immediately pour this hot ghee into the green gram and sugar mixture (from step 5). 8. Mix them well quickly with spoon. Now the mixture looks like bread crumbs. You should not touch with your fingers. Because the ghee is very hot. 9. After a few seconds, you can mix with your fingers, but while the mixture is warm. 10. Take a small portion from the mixture and make small balls of your choice. Keep it aside and leave it for 15 mins and serve. Healthy and tasty green gram laddo is ready. 1. 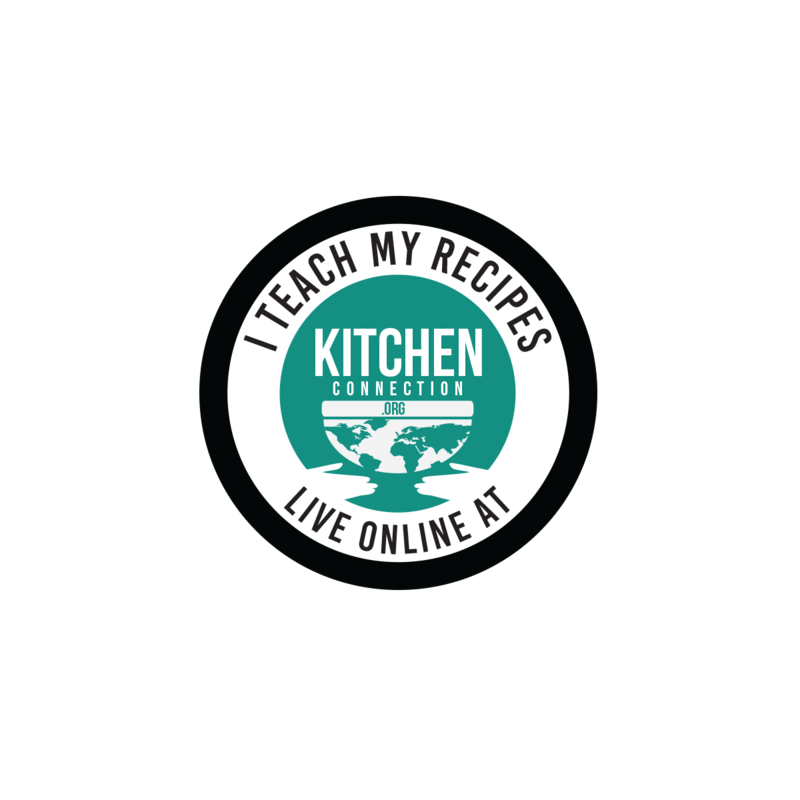 If you want to make more quantity, dry roast the whole quantity of green gram and powder the sugar separately. But mix them with ghee in batches.